Home TechBuzz Is Blue Whale ‘Suicide Game’ A Hoax? The truth behind the headline-grabbing app? An app that’s making news headlines around the world for allegedly targeting children and young people has left quite a few parents shaking in fear, while authorities are still trying to connect even the slightest of dots. Blue Whale, created by Russian programmer Philipp Budeikin, supposedly lures young victims into self-harm and suicide, with a variety of humiliating, painful, and even violent steps along the way. It reads like something straight out of a Hollywood cyberthriller, and it’s easy to see why some might dismiss it as nothing more than urban legend. At the same time, it’s exactly the kind of generational rumor that can strike fear in the public: much like the long-told stories of Halloween candy filled with razor blades, although there has never been a single reported instance of the event. Schools across the US are warning parents about the app nonetheless, and Russian authorities are taking it very seriously – they’ve arrested Budeikin for his supposed role in multiple suicides, although the exact number is still being investigated – and different websites tell different stories on the numbers of young people who’ve already been Blue Whale’s victim. Some numbers have been speculated to be in the hundreds, while other sites insist there hasn’t been a single suicide linked to the game. Blue Whale reportedly assigns the “players” different tasks depending on the level they reach in the game. Some of the early tasks have included nothing more than filming themselves singing a silly song, while later on as the “game” becomes darker and darker, tasks have included committing and filming acts of violence against animals, cutting themselves, and ultimately, committing suicide. There are a number of key takeaways for parents where this app and others like it are concerned. First, whether or not all of the rumors surrounding Blue Whale are accurate, there is no question that the creator has been charged. Also, there are valid concerns of copycat behaviors based on the headlines about this app. Finally, one of the functions of the app was reportedly to root around in the player’s phone and steal incriminating photos or messages, then extort the desired behaviors out of the victim. There have been a number of widely reported and verified incidents in which young people have been victimized by this type of tactic, and the definition of “sextortion” usually involves this kind of approach. 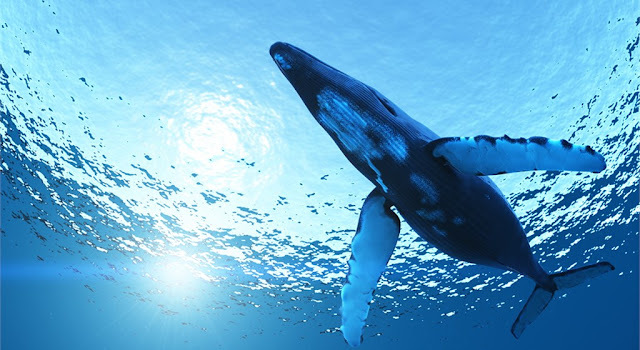 Blue Whale may be more rumor than truth, but there are genuinely hundreds of methods a predator can use to contact a young victim and lead to sextortion.